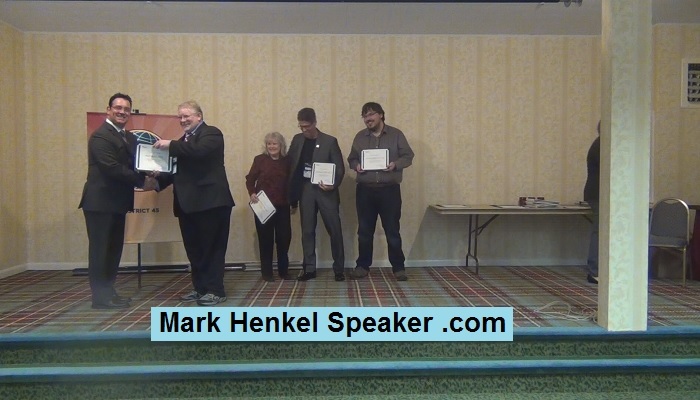 I received some awards at the 2017 District 45 Toastmasters Fall Conference over the weekend of November 3-5, 2017, at the Lake Morey Resort in Fairlee, Vermont, US. 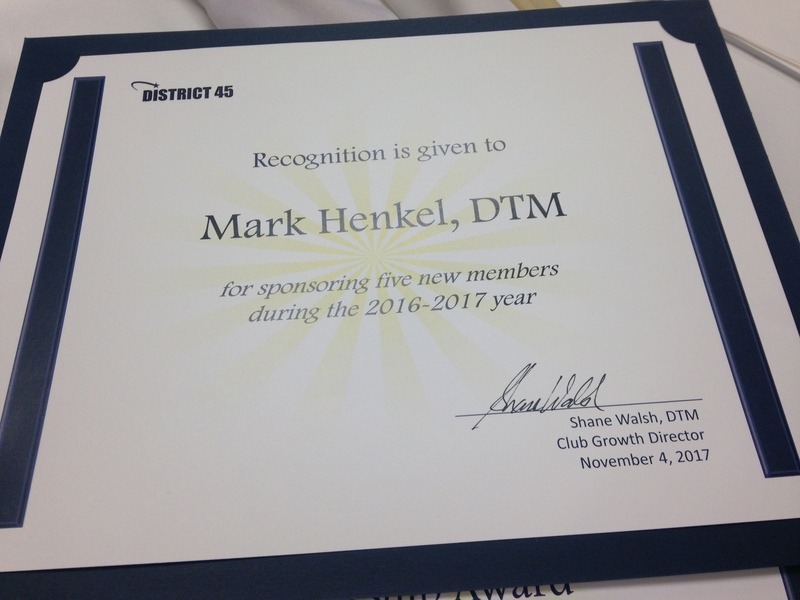 One of those awards was for Sponsoring 5 or more members in the previous fiscal year, 2016-2017. I have been earning this award every year ever since the very first year that I, myself, had become a member.